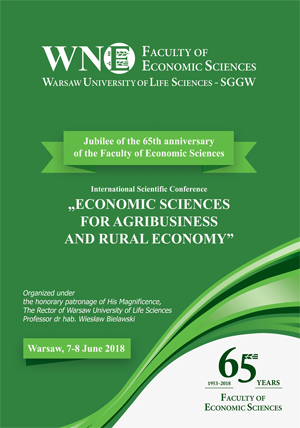 Faculty of Human Nutrition and Consumer Sciences and Faculty of Economic Sciences invite for a scientific seminar – Professor John Theodore, Manchester Metropolitan University, will provide a speech on „The European Union and the Eurozone Under Stress”. The seminar will take place on Friday, 13/07/2018, 10.15–12.00, building no 32, room no 99. Prof. John Theodore – passionate about the European economy, the financial crisis and repairing the EU; trained barrister with over 30 years’ professional experience working on EU funded and other international projects. Director of a Research and Consultancy Centre at Manchester Metropolitan University with recent publications on “Cyprus and the Financial Crisis – The controversial Bailout and What it means for the Eurozone” (May 2015) and “The European Union and the Eurozone under Stress – Challenges and Solutions for repairing fault lines of the European project” (publication May 2017).